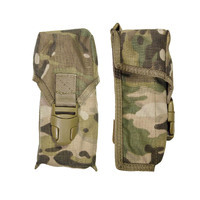 Designed specifically to hold two 30 round F88 AUSSTEYR magazines. The lid has two attachment points to accommodate a hook knife, torch, lanyard etc. The inner bound lip found on all other similar ammunition pouches has been removed to avoid the snagging of magazine lugs on the inner edge during reloads. 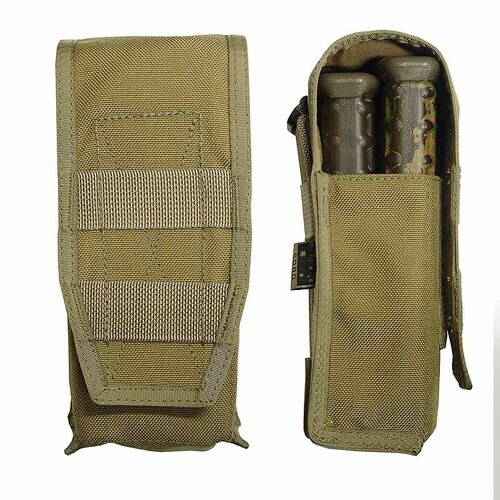 Requires two MOLLE columns for attachment.